Color Me Katie: Thursday. 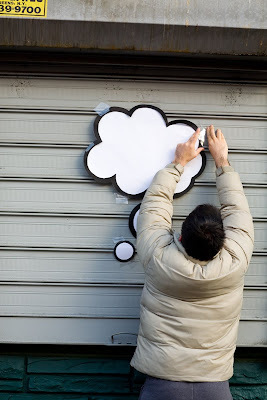 – – Fun project of putting “thought bubbles” on various surfaces and taking pictures of people passing under them. Then photoshopping in the thoughts you think they were having.